The world of art can be a very sensitive place for some, as so much of its most brilliant work is driven off of artist’s raw emotions. For Sue Tsai, it’s her place of comfort, venting, and self-realization. 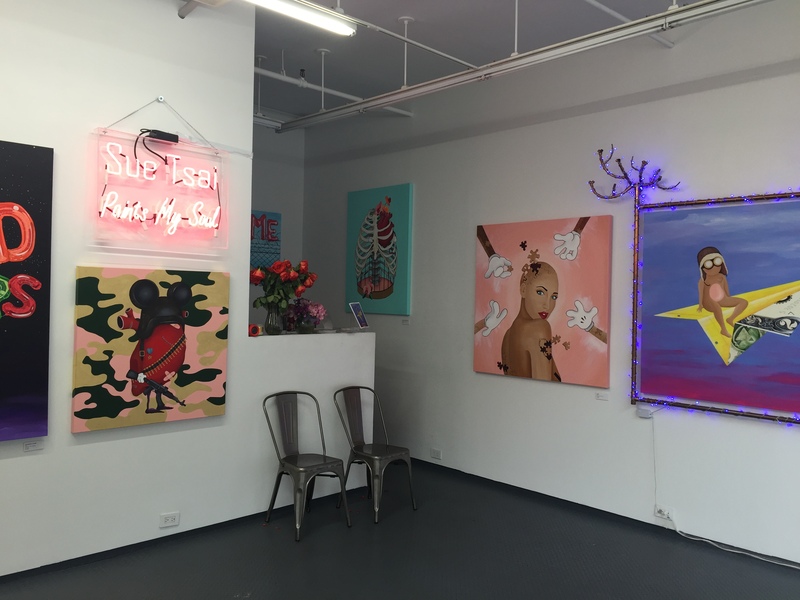 The 27-year-old painter has opened up a pop-up gallery in downtown Manhattan, where she puts some of her most beautifully honest emotions on the forefront through her detailed paintings. Battling with heavy anxiety throughout her life, Tsai depicts some of her biggest internal struggles onto canvases, which has driven a huge following from those who appreciate, or can relate, on social media. Most remarkable, she has turned her college marketing degree into a lucrative platform for her outstanding artwork. So far, Sue has received tons of visitors to the intimate gallery, including the likes of Swizz Beatz and Joe Budden, which will be open to the public until September 6th. From her dealings with heartbreak and love, to becoming a prisoner of her own mind, Tsai takes supporters into her everyday emotions with her large, detailed pieces. Read our conversation with the brilliant young artist below, and learn more about her here. Sue Tsai: I’ve been doing art my whole life. I’ve always been drawing or sketching something since I was really young, but the painting was a hobby I really started focusing on in the past 4 years when I noticed that paintings I was doing on the side were getting a lot of feedback on social media and through friends and family. 4 years ago was when I was like, “I can really make a career from this,” and that’s when I really focused on it at that time. What is your background with art like? ST: I actually went to school for marketing, and I got a business degree. At that time, I wasn’t sure what I wanted to do yet, but I felt like creativity is something that really can’t be taught, and I didn’t’ feel the need to go to school for it. I thought that I could kind of just do this myself, but I wanted to go to school for something I could apply to the art. Whatever it was I decided to do, I could use that degree to apply towards my career. Most artists are not very good business people. It’s two opposite spectrums, so it was super beneficial for me to kind of be an artist and also have a business degree. What are some of the biggest inspirations behind these outstanding pieces? ST: All of these inspirations come from kind of what I go through in life. Every piece marks what I’m going through at that point. Whether it be love, heartbreak, internal growth, it’s just everything I’m going through that I take from my mind and try to put it into a visual form that other people can relate to and see what goes on in my head.